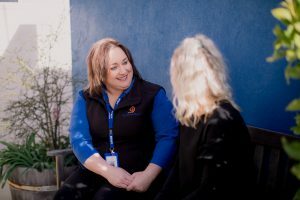 We are approved providers of the Tasmanian Home & Community Care (HACC) program in Southern Tasmania. HACC funding provides basic community care services that support persons who are under 65 years or Aboriginal and Torres Strait Islander people aged less than 50 years of age living with disabling conditions and their carers. Services are targeted towards people who are living in the community and whose capacity for independent living is at risk, or who are at risk of premature or inappropriate admission to long term residential care. Referrals for Tasmanian HACC services are made through Tasmanian Community Care Referral Service. Our commitment to providing holistic, quality care to you in your home is our priority. Our staff are expert in assessment and can assist you to identify the type of assistance that you require. We can link you to other community services, arrange specialist assessment, provide health choices, and develop a care plan with you to meet your specific needs. The District Nurses provides services 7 days per week, 365 days of the year.